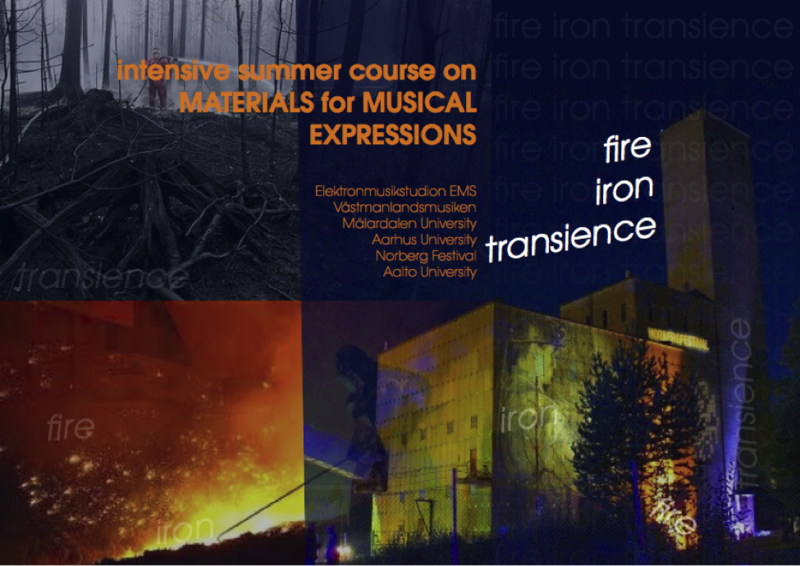 The course will give opportunity to graduate students to explore the fundamental domains relevant to the research approaches to New Interfaces for Musical Expression. It will help students to develop a theoretical and practical understanding, covering a range of topics from materiality to novel musical instruments within a hands on / minds on teaching philosophy. The course will deal with these topics through the areas of intersection between different dimensions of human agency, technological agency, and new technological/social practices in art and design context. The multidisciplinary nature of the summer school will bring together students and academics in design, technology, and new media field from three nordic universities; Aalto University in Finland, Aarhus University in Denmark, and Mälardalen University in Sweden. We have earlier collaborated in teaching through guest lectures and in research workshops. We have combined experience in the field through research, artistic work, and research commercialisation. In addition to these universities, music and mobile industry companies, such as Jolla, Teenage Engineering and Lidbo Audio Industries will participate in the summer school, reflecting the excellence in Nordic creative industry. The students, forming multidisciplinary teams, will create new musical instruments to be used in musical performances at the Norberg festival. The Norberg festival is an annual electronic music festival in the Västmanland region in Sweden. The results of the course will be disseminated in a special track at the International conference on New Interfaces for Musical Expression and through a documentary movie.